Relive the Music Legend that is Bob Marley Each and Every Monday Night @ Sally Obrien’s: Show Starts at 9:30 p.m. Listen to the Duppy Conquerors. Hey reggae fans!!! In the mood for some good ole’ Bob Marley? And who wouldn’t be from time to time? Well now you can satisfy your craving each and every Monday night at Sally Obrien’s Bar and Grill in Somerville with the likes of the Duppy Conquerors. 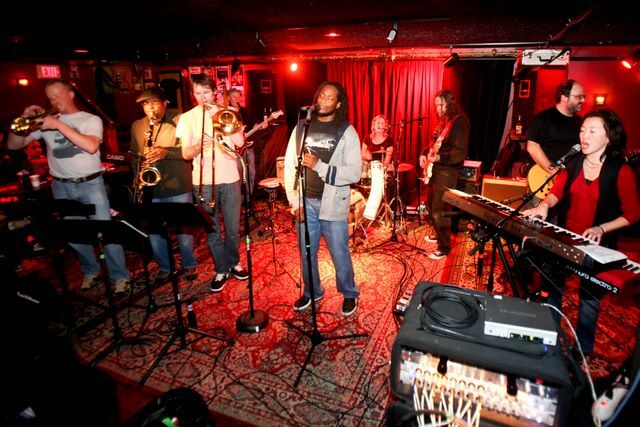 This amazing band, consisting of some of Boston’s premier reggae artists, devotes its entire repertoire to honoring Marley and his great reggae legacy. The various members of the band have performed with such world renown artist’s as Marley’s very own band The Wailer’s, Ziggy Marley, The Skatalites, Black Uhuru, Eek-A-Mouse, Steel Pulse, Toots & the Maytals … and the list goes on an on. 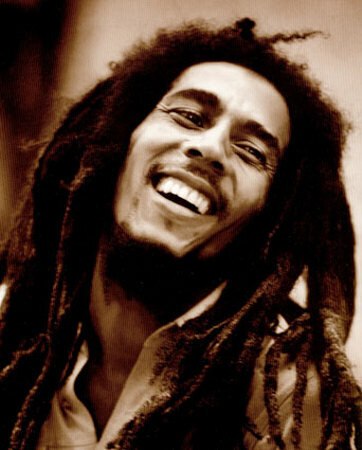 It as been argued in many music circles that Bob Marley, a virtual hero to so many both artistically and philosophically, should rightfully be considered one of the world’s most influential artists of the 20th century. In 1980, Marley’s last tour with his band earned the distinction of drawing the biggest audiences ever of any musical act to perform on European soil! A devoted Rastafarian, Marley held fast to his vision of “One world, one love”. He left behind a huge legacy of songs which related to virtually all aspects of life. One of my all-time favorite quotes of his on the wonderful uplifting powers of music, indeed says it all- “One good thing about music, when it hits you, you feel no pain”. If ever there was a reggae ensemble that is truly dedicated to honoring the music of Bob Marley, the Duppy Conquerors surely fit the bill. The band takes its name from one of Marley’s song titles which means “killer of bad spirits” which fits the aforementioned quote at the end of the previous paragraph perfectly. Led by Curtis King on vocals, who is known for his endearing stage presence, this extremely dedicated group has developed a reputation for appealing to a rather wide range of audience members. If you visit their website you can even share your Bob Marley listening experiences with the rest of the world. Curtis is joined by fellow band mates John DeCarlo, background vocals and rhythm guitar, Sarah Mendelsohn, lead and background vocals and drums, Carol Nam Koong, background vocals and keyboards, Jonas Kahn, lead guitar, Mark Ferranti, bass, Joe Stewart, trombone and percussion, John Frazee, trumpet and percussion, and Jeff Robinson, saxophone, keyboards, and percussion. As an added bonus, you can hear all of this fabulous music for free. Come ready to dance up a storm! Come hungary as well, so you can enjoy some of Sally Obrien’s tasty eclectic cuisine. The menu includes Irish, Mexican, Italian, and American selections. So why not get your Bob Marley fix with the experts. You can join the Duppy Conquerors each and every Monday evening for some of the best in reggae music. When: Every Monday night @ 9:30 p.m.
World Music Boston Will Be Back Soon!!! The winter weather has certainly taken its toll on me, along with everyone else to be sure!!! As careful as I was trying to be, on January 18th the habitual trip to the grocery store did not go well. I fell and broke my hip. Alas, the blog has met with some slow times as computer access during my recovery has been rather limited, but I have not lost my enthusiasm for the fantastic world music scene we have going on here in Boston!!! World Music Boston should be up and running as usual within the next few weeks. So until then I wish you all a safe winter season. Be careful and stay safe.